Ethno Marrakesh Fest: The New Event Coming Up on Lady Popular! We are going on a trip to remember! The culture of Marrakesh is vibrant and captivating. Treat your senses with a tour around the spice market or have a mint tea at some rooftop cafe – the choices are endless! 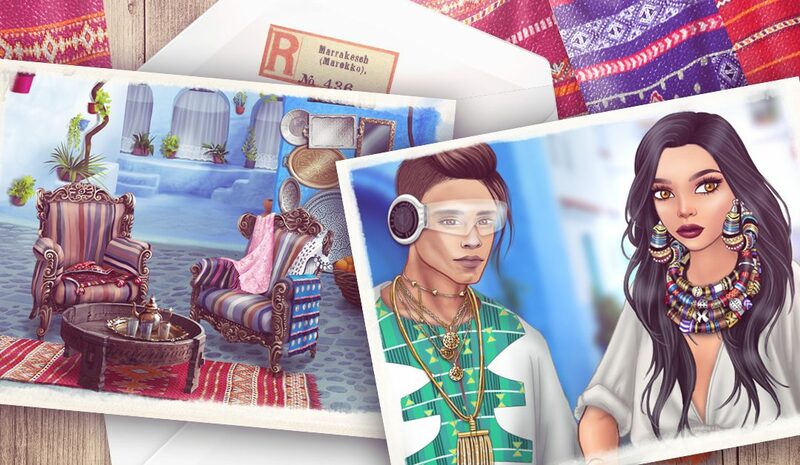 This is a new event coming up in Lady Popular: Ethno Marrakesh Fest. Enjoy the event from 13.09.2018, 13:00 CET until 27.09.2018, 13:00 CET. If you want to learn more about Morocco and their unique culture, check out our latest post: Trip to Morocco – feel the spirit of the Orient. chce zagrać w tą grę ponieważ jest super!!!!!!!!!!!!!!!!!!!!!!!!!!!!!!!!!!!!!!!!!!!!!!!!!!!!!!!!!!!!!!!!!!!!!!!!!!!!!!!!!!!!!!!!!!!!!!!!!!!!!!!! !